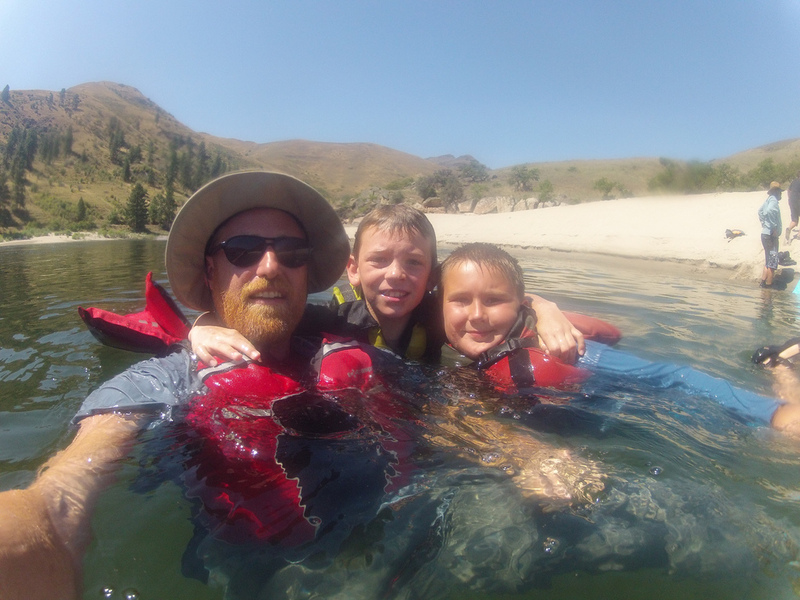 Trip 2 was a great science adventure down the Lower Salmon–terrific kids from the Salmon Surfers and the Boys and Girls Club paddled with us and our guides-in-training (Toad, Drew, Gillis and Alex) were outstanding. Participants investigated stream ecology and water quality, swam a rapid, fished, hiked and took part in service projects for the Nature Conservancy. This entry was posted on August 18, 2013 at 7:08 pm and is filed under Uncategorized. You can follow any responses to this entry through the RSS 2.0 feed. You can leave a response, or trackback from your own site.